Now that we explored August China wholesales, it is time to focus on the all-new locally produced launches for the month so you are up-to-date on the fastest-evolving market in the world. Note these updates remain based on wholesales data. In August, the market posts a second consecutive year-on-year decline partly due to the continuing weakness of SUV sales. This has been triggered by a government crackdown on P2P digital lending platform that enabled up to 15% of car sales in 2017. More on the P2P lending impact on the 2018 Chinese car market here. We spoke about it last month: the new nameplates that are now hitting the market were conceived years ago at a time when SUVs were the sole engine of growth of the Chinese market, and therefore we are seeing a constant flow of new SUVs hitting local dealers even though the market conditions are now a lot tougher. If in July 5 of the 7 launches were SUVs, in August the ratio is even higher with 6 of the 7 new launches being SUVs. You can also keep track of the fast-expanding list of all active Chinese brands by consulting our Exclusive Guide to all 175 Chinese Brands, updated live. Unveiled in November 2017 at the Guangzhou Auto Show, the VV6 is the 4th nameplate under the WEY brand, a new semi-premium marque launched by Great Wall Motors in 2017. 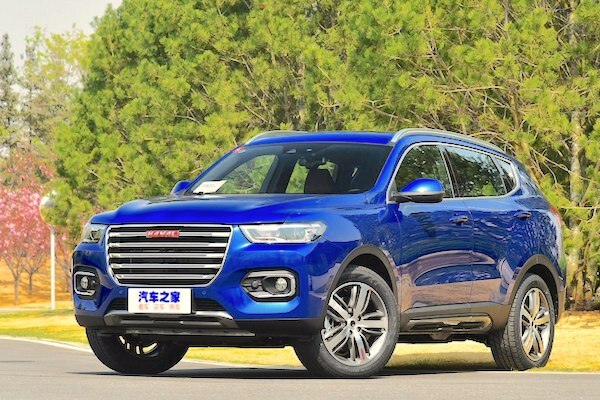 It logically slots in-between the VV5 and VV7 but does seem like a superfluous addition, given how similarly-looking it is from its siblings but also the Haval H6 (see below). WEY has seen its wholesales peak quickly at 21.349 units in December 2017, down to just 10.174 in August 2018 after a low of 7.080 in July and despite the arrival of the P8 hybrid. Direct competitor Geely’s Lynk & Co overtook WEY in July (12.300) and doubled-down in August (13.674) with the 02 taking off. The glaring difference between the two Chinese semi-premium brands is Lynk & Co models have their own design and personality whereas WEY seems to be content just popping out upscale versions of Haval models. As a result, Haval have been cannibalised and are tumbling down so far in 2018: -20% YTD and -23% in August. 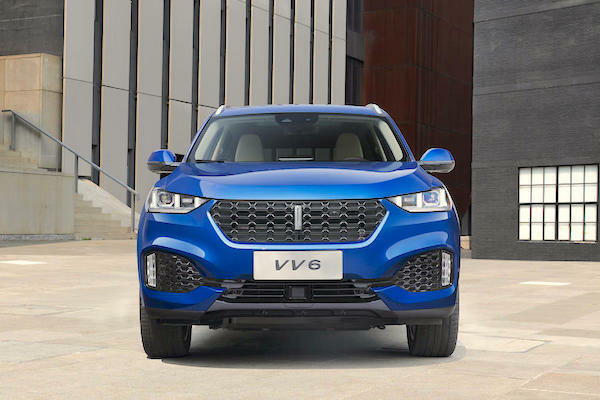 In this context, the VV6 enters a challenging environment not only internally within the Great Wall stable but also nationally: consumers aren’t gobbling up Chinese SUVs blindly like they had been this decade. The VV6 is based on the VV5 platform but is 12.3 cm longer at 4.585m vs. 4.462m for the VV5 and 4.749m for the VV7, and is equipped with the same 169hp 1.5T and 197hp 2.0T engines. The VV6 is priced from 148.000 to 175.000 yuan (US$21.600-25.500 or 18.500-21.800€) compared to the VV5 at 150.000-163.000 and the VV6 at 167.800-188.800. This is still not cheap, and may handicap the model’s career given the pricing of direct competitor Lynk & Co 02 (122.800-192.800) and the Haval H6 (103.000-146.800). But what WEY is hoping to target instead – a difficult task – are foreigners such as the Mazda CX-4 (140.800-215.800) and VW T-Roc (139.800-209.800). The VV5 peaked at 10.798 sales and the VV7 at 10.551 but times will be harder for the VV6 and reaching half this volume should be a realistic target. 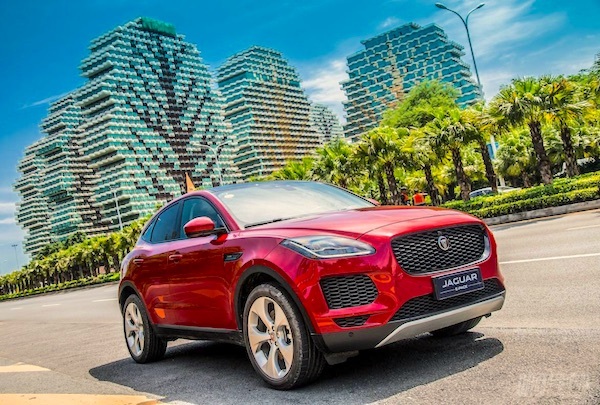 Unveiled at the Beijing Auto Show last April, the E-Pace is Jaguar’s first China-made SUV, manufactured by a joint-venture with local manufacturer Chery. It joins two stablemates, the XFL launched in September 2016 and the XEL launched in December 2017, and should comfortably become the brand’s best-seller in the country. In fact it already is, outselling both sedans for its first appearance in the Chinese charts. Unlike its sedan siblings, the E-Pace has the same length and wheelbase as the rest of the world, with no plans to launch a China-only long-wheelbase version for now. The E-Pace is powered by 250hp or 200hp 2.0T engines and priced from 288.800 to 395.800 yuan (US$42.100-57.700 or 36.000-49.400€), placing it in the same sandpit as the BMW X1 (283.800-439.000), Mercedes GLA (269.800-395.800) and Volvo XC40 (321.800-411.800). 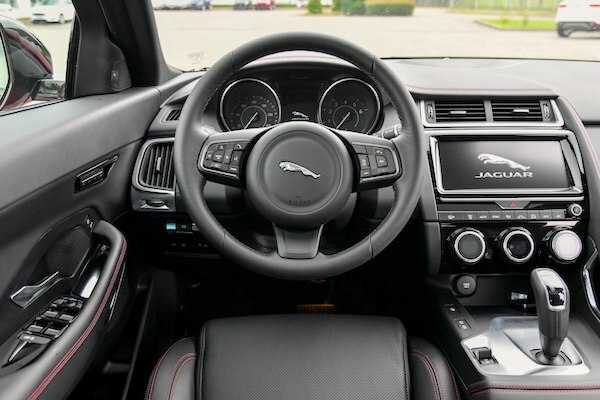 You may have noticed that the E-Pace is cheaper than the XC40 which seems like an anomaly but also means Jaguar can target solid volumes with this compact SUV. To which extent is hard to predict, as the XFL peaked at 2.558 sales, the XEL at 1.539 and the imported F-Pace at 1.526. Looking across the street the BMW X1’s personal best is 9.984 and the Mercedes GLA is at 8.002 with the XC40 yet to launch in China. We set the bar for success at 3.500 monthly sales. Traum, German for dream, is a new brand by Zotye launched in June 2017. The Chinese name is Junma (君马) translated as Supreme Horse. The English slogan is Driven by Dreams, while the Chinese slogan is Dream for a Horse. 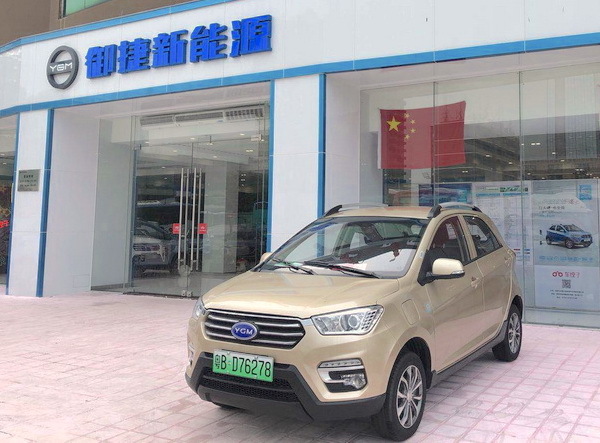 All Traum-branded vehicles are manufactured by Jiangnan Auto, a subsidiary of Zotye. The SEEK 5 is Traum’s third launch in less than a year alongside the S70 and the MEET3 (yet to appear in the wholesales charts). It is based on the same platform as the S70 with an identical wheelbase. The SEEK 5 is 4.771m long while the D70 is at 4.746m. Engines are the same: a 116hp 1.6 and 156hp 1.5T and they are both 7-seater SUVs. 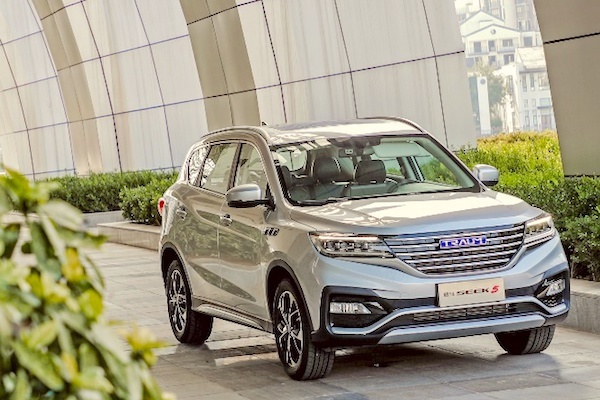 The pricing is also very similar, which is a Zotye specialty – launching as many cars as possible in the midsize SUV segment – that results in cannibalisation and lower volumes. It looks like Zotye is repeating the same mistakes with the Traum brand although this SEEK 5 isn’t a copycat of any existing car, so that’s some progress right there. SEEK 5 pricing is a tight 77.900-128.900 yuan (US$11.350-18.800 or 9.700-16.100€) compared to 81.900-115.900 for the S70. 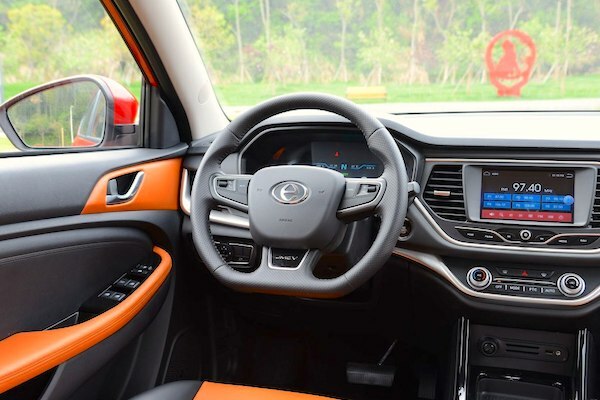 Traum is aiming at younger buyers in third and fourth tier cities and as such is competing full frontal with similar new brands by large Chinese manufacturers: Chery’s Jetour X70 (69.900-120.900) and to a lesser extent Chana’s COS1° (93.800-145.800). The SEEK 5 slides in-between Haval’s “low cost” offering the M6 (66.000-86.000) and its best-seller the H6 103.000-146.800). Traum has had a difficult start so far with the S70 peaking at a meagre 1.601 units last month, so the SEEK 5’s bar for success will be modest. JMEV is a brand by JMC dedicated to electric vehicles, already including the E100, E160, E200 and E200N sedans, rebadged and electrified versions of existing models by other brands, notably Zotye. True to form, this E400, JMEV’s first SUV, is in fact an electric Landwind X2. Priced between 163.800 and 175.800 yuan before government subsidies (US$23.900-25.600 or 20.400-21.900€), the E400 competes with the likes of the Chery Tiggo 3xe (157.800-189.800), JAC iEV6e (118.500-158.800), BAIC EC-Series (121.900-164.800), BAIC EV-Series (158.900-189.900) and BAIC EX-Series (183.900-202.900). JMEV’s other nameplates have had uneven but quite successful careers so far, notably the E200 launched in December 2016 and peaking at 4.914 sales last December, with the E100 also launched in December 2016 and peaking at 1.755 but the E160 launched in April 2017 a lot weaker with a peak at a meagre 299 units at its 2nd month of sales. In this context, we’ll place the bar for success for the E400 halfway between the E200 and E100’s best scores, at 3.500 sales. The HS is MG’s third crossover offering after the successful GS and ZS, but also its largest so far. It is built on the same platform as the enormously successful Roewe RX5 which sold just under 475.000 units since it launched two years ago in July 2017. 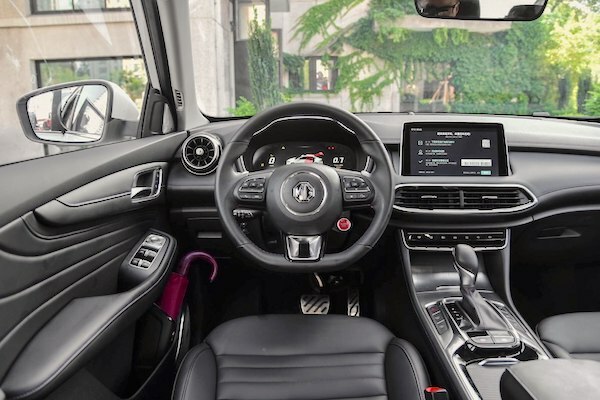 The MG HS comes with driver assist features such as lane-departure warning, blind-spot assistance and rear-cross traffic alert. It is powered by a 170hp 1.5T or 220hp 2.0T but doesn’t offer any 4×4 variant. It is 4.574m long vs. 4.31m for the ZS and 4.51m for the GS. 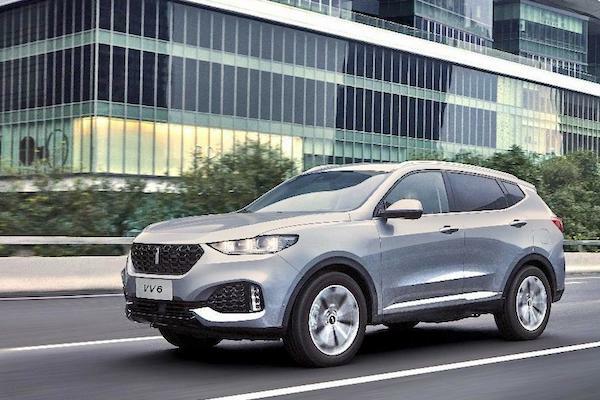 It is logically priced above MG’s existing SUV offers at 119.800-189.800 yuan (US$17.500-27.700 or 14.900-23.700€) compared to 73.800-115.800 for the ZS and 98.800-175.800 for the GS. Some overseas markets such as Thailand are already considering discontinuing the GS to make room for the much more modern HS. 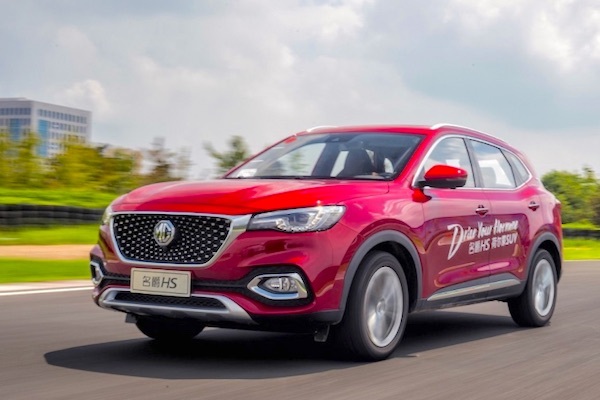 In terms of external competition, the HS is markedly dearer than the Roewe RX5 on which it is based (99.800-188.800) in order to maintain the premium and UK-origin brand image of MG in China. The other two Chinese blockbusters in the category are also cheaper: the Haval H6 goes for 103.000-146.800 and the GAC Trumpchi GS4 is at 89.800-161.800. The MG HS will also try and snap customers away from the similarly-priced but smaller VW T-Roc (139.800-209.800). Looking at the commercial performance of the other two MG crossovers, the ZS’s highest monthly volume is 11.755 hit last April while the GS has been on a long a painful slide down given its record (6.740) dates back from December 2015 only a few months after launch. We want at least the GS score to feel content. 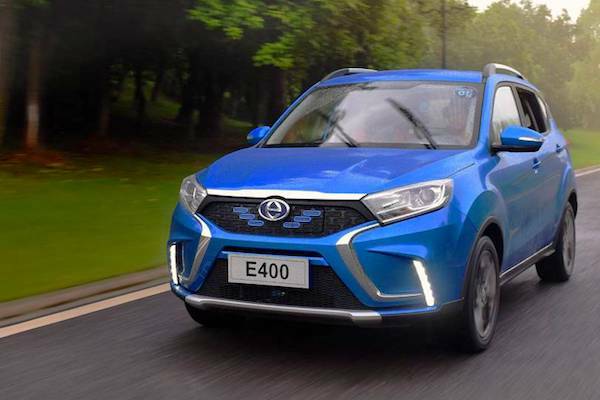 Although listed under the Link Tour brand, the E-series electric hatch is actually branded YGM, a brand by mini EV manufacturer Hebei Yogomo Motors owned at 25% by Great Wall Motors. The YGM marque was created to sell road-worthy EVs and its first model is this E-Series. Link Tour is a separate brand by Yogomo that also sells EVs whose first offer is the K-One that should appear shortly in the charts. More details on both brands can be found in our Exclusive Guide to all 175 Chinese Brands. The spectacular MARVEL X debuted at the Beijing Auto Show last April and is an electric SUV based on the upcoming Roewe RX7. It is 4.678m long and powered by two electric motors (116hp + 71hp), one on each axle, giving a range of 370 or 403km depending on the variant. 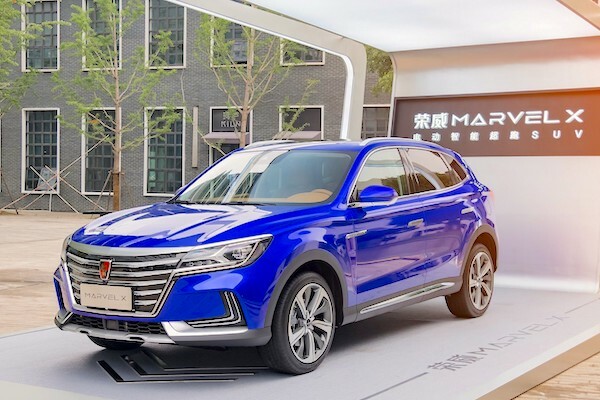 The MARVEL X is one of the first premium electric SUVs manufactured by a Chinese company, and as such has few competitors for now. It is priced from 268.800 to 308.800 yuan before government aids (US$39.200-45.000 or 33.500-38.500€). Chinese competitors include the Weltmeister EX5 (186.600-298.800), Borgward BXi7 (358.800-378.800) and NIO ES8 (448.000-548.000), which foreigners in its line of fire are none others than the Jaguar i-Pace (648.000-736.800) and Tesla Model X (964.900-1.572.200). 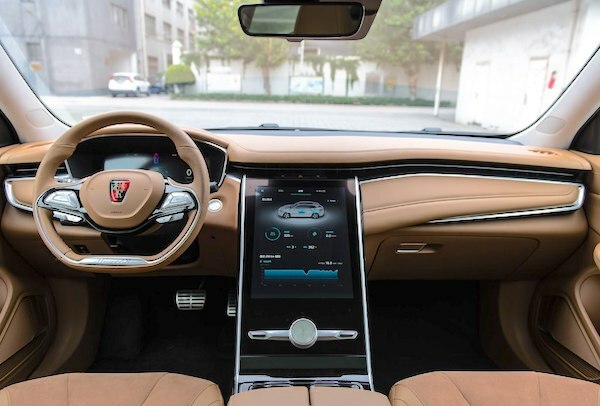 The MARVEL X certainly competes with the Tesla Model X when it comes to the gigantic touch screen on its dashboard. Being more of a pinnacle product strategy for the Roewe brand, don’t expect high volumes for this MARVEL X. Kudos on all the great coverage. Wall Street Journal recently came up with a total number of 487 manufacturers in China. Don’t ask me where they got that number, since it seems to change by the day. Many thanks for the note, would you have a link to the Wall Street Journal article that mentions this amount? It would be great to see their list, which I assume includes foreigner manufacturers active in China as well as micro EV makers. My understanding is Yogomo still exists as a brand of micro EVs and Link Tour is a new brand.